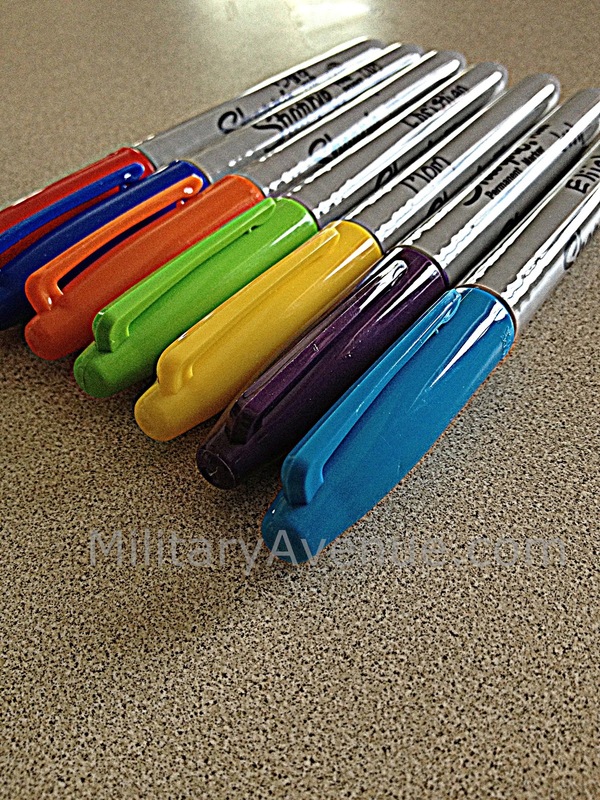 The Military-Family: How do you organize your family calendar? 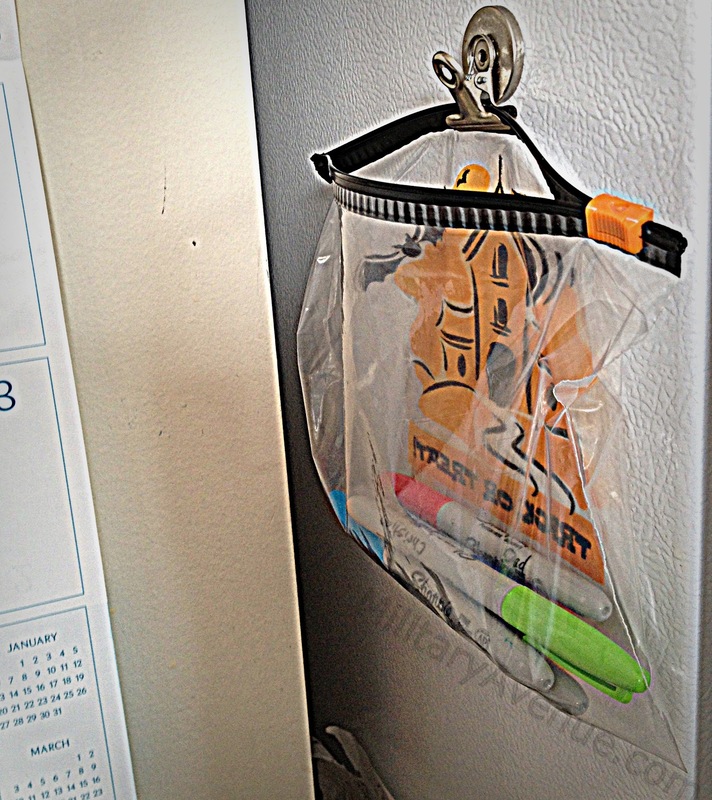 The markers hang neatly in a baggie on a magnet by the frig, right by where our calendar happens to hang. (I wish I was more crafty but the bag really suits our style!) 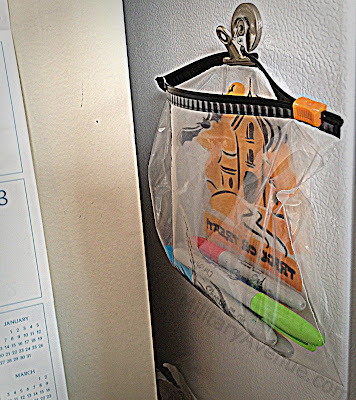 This makes it easy to grab, write, and carry on. Here is what made me originally jot my thoughts down about the family calendar. I think it is very important to not only put extra-curricular activities, birthdays, parties on the calendar but also school project and due dates because they are just as, if not more than important to be reminded of. This is a visual for the kids to remind them AND me about upcoming projects that need to be started, completed and checked. How about you? Do you put school work on the calendar or do you keep it strictly to out of school, extra curricular events? How about your menu plan, all of our menu-planners? I would love to hear your thoughts and ideas. The month will fill in as we head into spring sports and then, even more than now, we will appreciate planning, organization and Sharpie pens! We have a weekly calendar by Post-It that has a line for each family member that we use to track everything. This is in addition to the dry-erase calendar just below it that has "Family" activities. Both of these are together in one spot in the kitchen. I also have a wall calendar in both my office upstairs and in the kitchen. And I have a book planner in my office that is buried on my desk. Add that to the Google Calendar that syncs with our phones (husband's and mine). I love it, Jerae! I know the feeling. I'm trying to cut back on the work to keep us organized... but that doesn't usually work out. We also use google calendar (hubs and I) to keep each other abreast of what is going on (so that when we are not standing in the kitchen we can figure out 'what's happening'. I also love using google calendar for menu planning so that I can move things around as necessary. Thanks so much for your thoughts! I have a giant wall calendar. I carry around sticky notes when I go out so I can make notes (my memory isn't very good for a 26 year old! lol). When I get home, I stick the "random" notes on the side portion of the calendar, and write in the important stuff. For a wife of a deployed soldier and a SAHM to one 3 three year old, I sure do get busy! I like to take advantage of all those FREE classes offered by ACS, MOB/DEP and whatever else I can find to pass the time. Finding a job in our location has proven to be next to impossible, so why not gain knowledge!? Love your attitude! And they say the busier you are the faster time will pass, right?! :) Thanks so much for your input. The sticky note idea is a great one. I am a calendar junkie. I have a house calendar on the fridge (our main calendar). It is a monthly lined calendar. Each family member has their own line. I write all information and appointments down in black ink that doesn't smear. Then I use multiple colored hi-lighters. Yellow=my work schedule and work meetings (I am a nurse and my schedule changes); Blue=my husbands schedule (he is a full-time student); Pink=my 9 year old daughters activities, school, etc. ; Purple= my 3 year old daughters activities; Orange = MD or dentist appointments for anyone; Green=financial information (pay days, bills direct wdl, etc. 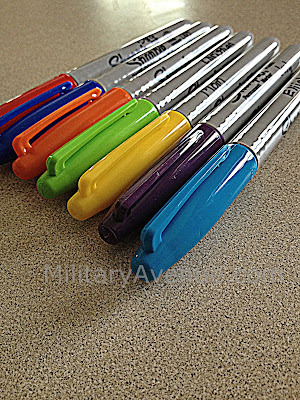 )I am a visual person so the colors help draw my attention to what is going on. Great idea! Using color to keep a family's calendar organized works so well, doesn't it? A busy family like yours sounds like it needs an organized system and you have it nailed.